Make Way for the Royal Parade! 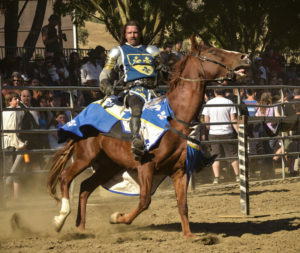 The 2017 Northern California Renaissance Faire is shaping up to be one of our best seasons yet. 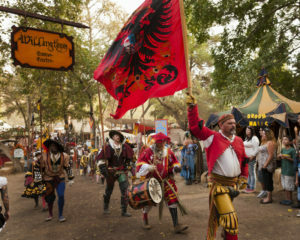 For five weekends this Fall, the grounds of Casa de Fruta are thrust back in time and transformed into Willingtown, a village under the rule of Queen Elizabeth I. Join the fun, put on a costume, and explore the thriving world of the English Renaissance, full of delicious food, hilarious performances, incredible music and amazing hand-crafted goods! This year we are celebrating our Queen’s Golden Jubilee. She will wear a special red dress in honor of this anniversary. We are also introducing new theme characters, including a new Shakespeare, Sir Walter Raleigh, and Mistress of the Revels. We are also introducing a new theme weekend: Heroes & Warriors, which takes place on Sept 30 & Oct 1. For this weekend, we encourage attendees to dress as their favorite superheroes, knights, fighters and soldiers. This is also the weekend that we celebrate our real-life heroes—military and veterans—with a special discount. For the first time, we are holding a billboard photo contest! 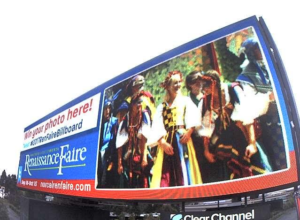 One digital billboard, on US 101 South by Ralston Ave, displays user-submitted Faire photos! To enter a chance to win their photo on the billboard, participants must Tweet their picture with the hashtag #2017RenFaireBillboard. Gather your crew and join the fun! Watch the FULL CONTACT Joust! Try out archery, fencing, axe-throwing, and more! Rock out to a free Celtic Rock Band concert at 6 pm on Saturdays!